Nigerian entrepreneur Chijioke Dozie is the co-founder of OneFi, which provides short-term loans through its Paylater mobile app. In addition to OneFi Dozie, and his business-partner brother, have launched a chain of coffee shops, tried their hand at fast food restaurants, invested in a Rwandan coffee roaster and backed a Ghanaian fruit juice exporter. 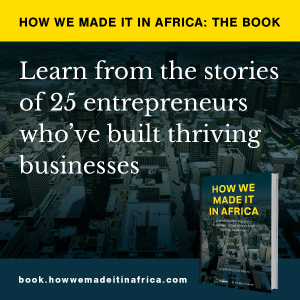 Dozie is one of the businesspeople featured in HOW WE MADE IT IN AFRICA: THE BOOK (available here), which tells the stories of 25 entrepreneurs who’ve built thriving businesses. Here are three lessons we can learn from Dozie’s business journey, as chronicled in the book. 2. Don’t let fear of conflict paralyse you from making tough decisions. Embrace conflict, otherwise, you won’t operate at your best or be as aggressive as you need to be.